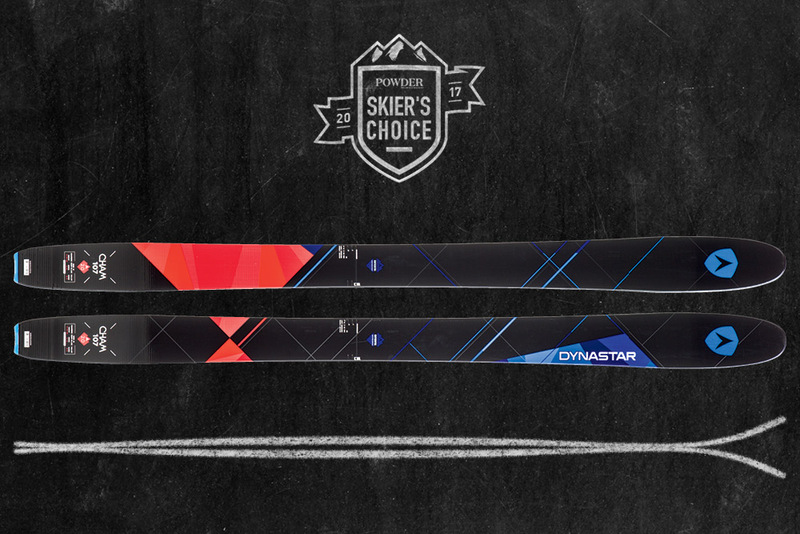 Super stable yet still responsive, the Cham 2.0 107 was one of the most versatile skis at Powder Week. A tapered tail allows early exit turns (if needed) and sinks low in powder while pushing the tips up to provide optimal control in deeper snow. Translation: you are more likely to be in the driver's seat than in the backseat. The core goes on a diet with paulownia, while the five-point sidecut allows a variety of turn shapes. "Solid construction, a stiff ski," says Jed Donnelly, who also noted the flat tail was stiffer than he likes. "I took this down the North Summit in less than ideal conditions and the ski was stable."